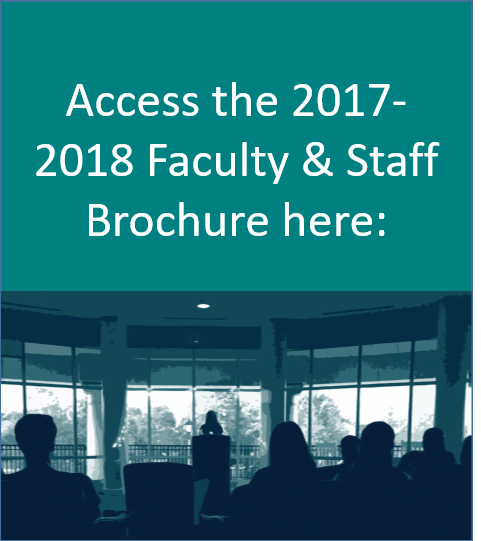 As a UNCW faculty or staff member, you may be concerned about your own or a student's safety. Even though ours is a safe, secure campus, the threat or experience of violence can occur anywhere. CARE: Collaboration for Assault Response & Education is a CONFIDENTIAL resource for students, faculty, and staff who may need information and support after experiencing assault or attempted assault, relationship abuse or stalking. We collaborate with the UNCW Police and other offices in a confidential manner. All University employees who receive a report of alleged sexual misconduct by a student, on or off-campus, must notify the Director of Title IX and Clery Compliance. In addition, all University resources are required by North Carolina law to report abuse or neglect upon a child or any disabled person. Faculty or staff receiving reports of sexual misconduct must complete the Sexual Misconduct Reporting Form. The reporting form must be delivered within 1 business day to Amber Resetar, Esq., Director of Title IX and Clery Compliance, via hand delivery (DePaolo Hall 1040), email attachment (titleix@uncw.edu), or fax (910-962-7556). Inform the student that they will receive direct contact from the Director of Title IX and Clery Compliance or designee if an administrative investigation will be required. It is not your responsibility to determine whether an assault actually occurred or to confront alleged perpetrators. Always refer students who report possible sexual assault, relationship violence or stalking to the CARE office and/or the UNCW Police for additional information and support. You may choose to seek further assistance by contacting the UNCW CARE (Collaboration for Assault Response & Education) office at 910-962-CARE or the CARE responder at 910-512-4821. A CARE Victim Advocate is available to consult with you and the student by phone or in person and available to help you individually with the process. Do provide information about how to connect with CARE by calling 910-962-CARE. The CARE responder may also be contacted 24/7@910-512-4821. Do explain your obligations as a university employee and what information you are required to report. Do get information and support for yourself as a helper (especially if the student does not want to talk to anyone else) by calling 910-962-CARE. Don't ask for details. Good intentions may be experienced as intrusion. Don't tell students what they "should" or "must" do. Don't make statements or ask questions that unintentionally imply victim-blaming ("How much were you drinking?"). Don't make judgments about the student's reactions or behaviors. It is normal for people to respond to a traumatic experience in a wide variety of ways. Remember that the sooner you refer a student to CARE or other campus resources, the more effective and easier the referral process will be. When sexual harassment is alleged, all administrators and supervisors are required to report. Likewise, it is not your responsibility to determine if harassment has occurred. Rather the reporting is required to ensure that a prompt investigation is undertaken. If the alleged harasser is an employee, this must be reported to the Human Resources office. Cases in which a faculty or staff member is notified of possible sexual harassment by a student require a report to the Office of the Dean of Students. Harassment, including sexual harassment, is addressed through UNCW's Unlawful Discrimination, Harassment, and Sexual Misconduct Policy. For more information regarding required notification or reporting of harassment. contact the Office of the Dean of Students or Human Resources. CARE advocates are also able to to work with any faculty and/or staff member that have experienced interpersonal violence. To contact an advocate, call 962-2273.